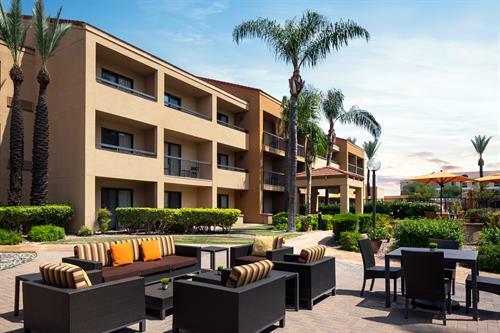 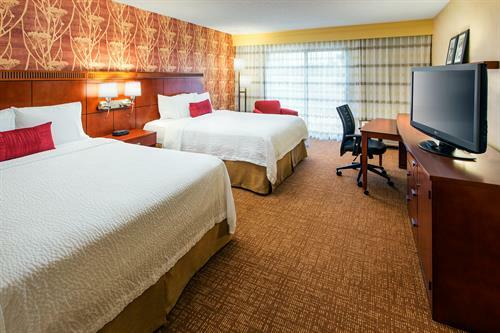 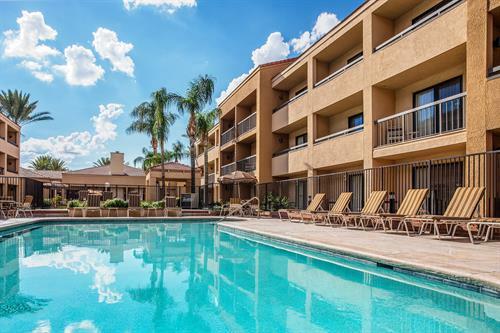 An oasis of comfort and convenience, our Courtyard Tucson Airport hotel near Old Tucson Studios is the perfect place to explore from. 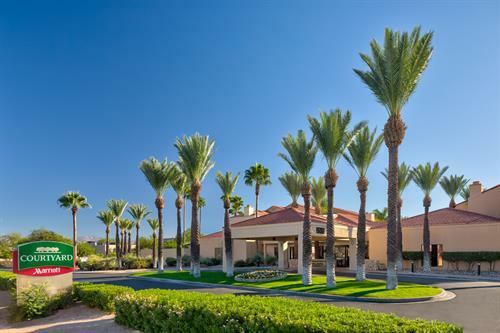 After taking our hotel's complimentary shuttle service from Tucson International Airport, you can discover some of the popular destinations nearby including Davis-Monthan Air Force Base, Kino Sports Complex, Arizona Sonora Desert Museum, Pima Air & Space Museum or one of the many Casino Del Sol events. 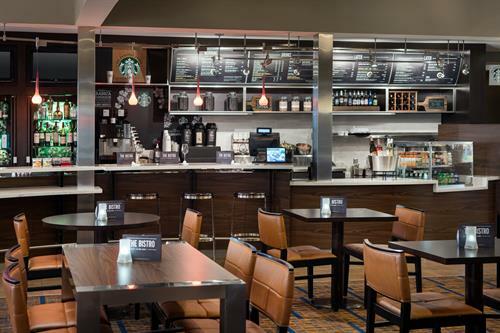 Start your mornings with a healthy breakfast and Starbucks® beverage at The Bistro and return for a tasty dinner and cocktails in the evening. 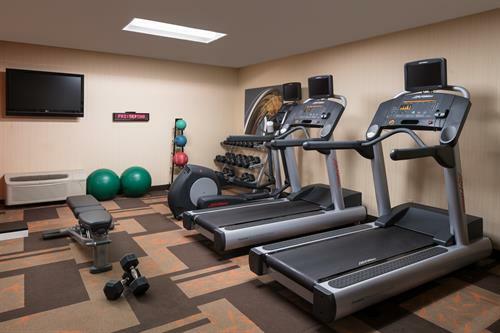 Keep up with your workout routine in our fitness center with cardio equipment and free weights. 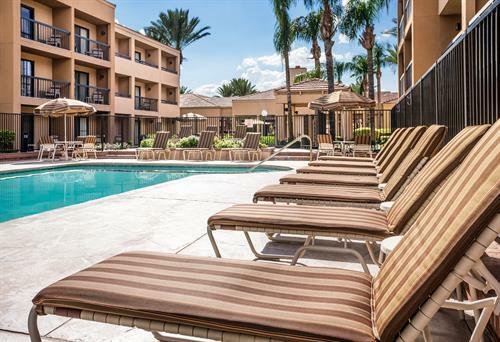 When the weather is right make a splash in our outdoor pool. 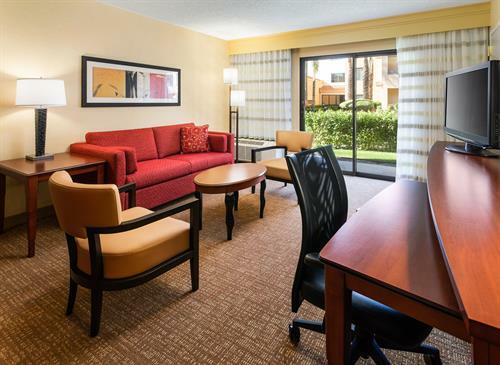 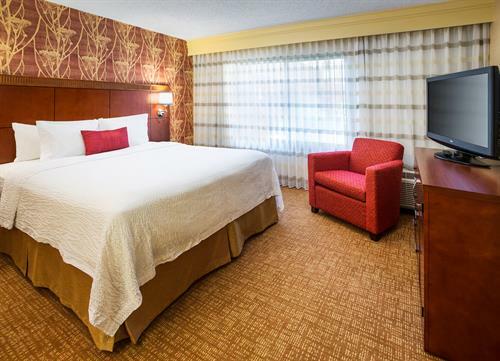 When it's time to call it a night, make yourself at home in our modern Tucson rooms and suites while enjoying complimentary Wi-Fi, ergonomic workspaces and plush bedding. 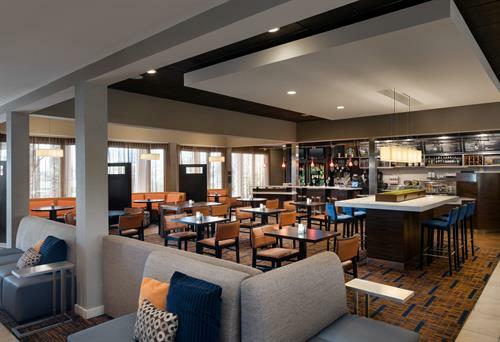 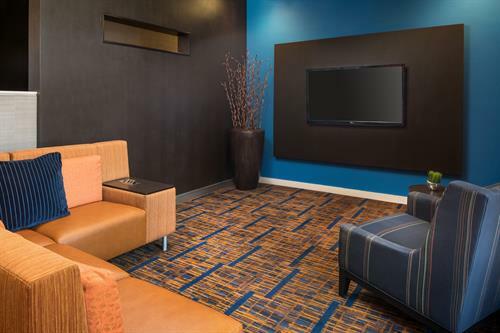 Whatever brings you to town, you can expect thoughtful amenities and friendly service at Courtyard Tucson Airport.